Flops continue to dog Bollywood as Raavan is declared a flop at the box office. Meanwhile, last week's release Mr Singh Mrs Mehta had a weak opening. Cast: Aruna Shields, Prashant Narayanan, Naved Aslam and Lucy Hassan. Prashant is good, deft handling of infidelity. Cast: Aishwarya Rai, Abhishek Bachchan, Vikram, Govinda. 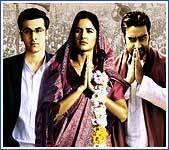 Cast: Ranbir Kapoor, Ajay Devgn, Katrina Kaif, Nana Patekar, Manoj Bajpai, Arjun Rampal Naseeruddin Shah. Weak screenplay, clunky dialogue and too long. Cast: Hrithik Roshan, Babara Mori, Kangna Ranaut, Kabir Bedi. Hrithik and Babara look hot, film is visually appealing. Cast: Darsheel Safary, Zia, Atul Kulkarni, Rituparna Sengupta. Cast: Shahid Kapoor, Anushka Sharma, Vir Das, Meiyang Chang. 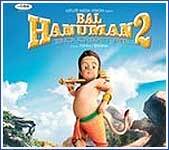 Cast: Akshay Kumar, Lara Dutta, Deepika Padukone, Ritesh Deshmukh, Arjun Rampal, Boman Irani, Chunky Pandey. Cast: Shashank Shende, Seema Biswas, Kashmira Shah and Sachin Khedekar. Great performances by the cast. Cast: Shahid Kapoor, Ayesha Takia Azmi and Nana Patekar. Has its heart in the right place.